There is no hope, and here’s the proof: shoppers often stack empty store baskets with one handle positioned as shown. It’s widely agreed that if we’re going to save the world, we have to plan beyond the next quarterly statement, stop being so selfish, reduce our footprint, eat less beef, burn less oil, invest in infrastructure, conserve resources for future generations. But how can we keep future generations in mind when we can’t even keep in mind the next shopper who has to stack an empty basket? Please, let the future begin. 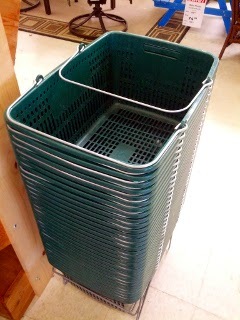 Keep the next shopper in mind and move your empty basket handles to the sides. A few days ago, my friend and former colleague, the funny and talented Greg Bulmash, visited my blog after a prolonged absence. There he saw my latest What brings you here post and grew curious about vampire lesbian girl scouts. If I say so myself, the phrase “vampire lesbian girl scouts” all but demands further exploration. Anyway, he wrote about it on his own blog in what he claimed, in e-mail to me, was an innocent shout-out. But I know what was really going on: he wanted to muscle in on some of that “vampire lesbian girl scout” search traffic. Indeed, as of this moment his post has taken over the top spot from mine in a Google search for that phrase. The war is on. And this post is my escalation. 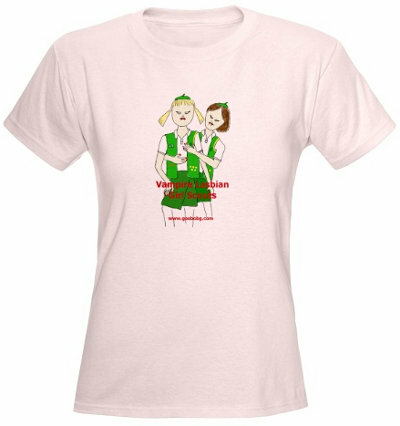 Presenting the geebobg Vampire Lesbian Girl Scouts t-shirt! Available in men’s and women’s styles and a variety of colors in the geebobg CafePress store. While you’re there, pick up a Mucoshave coffee mug for that special someone! The keyless engine-start button is (a) unsafe with small children around but (b) too cool to disable with the child-safety lock. 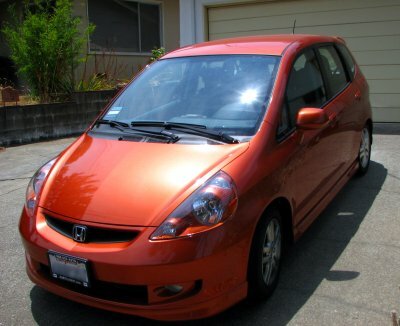 More than a year ago I replaced my 1998 Honda Civic hatchback with a new Honda Fit. Fuel efficiency was a key decision criterion for me, and naturally I considered the Toyota Prius; but the Prius gets its best gas mileage in city driving, and at the time of my purchase most of my driving was on the highway, where the Fit’s efficiency was close to that of the Prius, at a much lower price. I’ve been tracking my Fit’s fuel consumption on a spreadsheet for several months now and the trend is clear: its efficiency is consistently in the 35 MPG range. Nothing to sneeze at, especially given the dismal fuel economy of almost all other cars on the market; but disappointingly it falls short of the mileage I was getting with my Civic at the end, which occasionally exceeded 40 MPG — with the previous decade’s engine technology! You can see the mileage I’m getting, fill-up-by-fill-up, in my Google Docs spreadsheet. As I’ve written before, my mom once adopted the nickname Superpest for her ability to wheedle conciliatory goods and services from large corporations that had failed or wronged her in one way or another. Her secret weapon: dogged reasonableness. Early last year I took the plunge and got a big plasma Philips TV for the living room. Between that and my DTS sound system I was in home-cinema heaven! But after a few months I noticed an intermittent problem: when turning on the TV, sometimes the display was distorted in one of a couple different ways. Sometimes there was no picture at all. Turning the screen off, waiting a few seconds, and turning it on again usually fixed the problem. Sometimes a second power-cycle was necessary. The problem only happened a few times per month and so was extremely hard to diagnose. A succession of authorized repair centers variously (a) tried and failed, (b) pretended, and (c) refused to fix it. Over and over again, I directed appeals to Philips, only to be referred to another local service center, who would eventually send me back to Philips, which would assign me a new case number and the cycle would repeat. Add in several unanswered phone calls and letters and you can see how this stretched into more than a year. Eighteen months ago I purchased a Philips plasma TV. 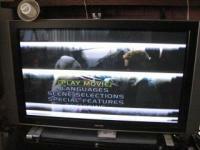 For the past twelve months I have been trying to get a defect in that TV repaired. The lengthy saga of those attempts involves incompetence, unresponsiveness, and evasiveness among a variety of authorized service centers, along with miscommunication, misunderstandings, and other less outlandish obstacles. A detailed chronology is enclosed. A few weeks ago a technician from C—-‘s TV visited my house to inspect the unit. His opinion was that it could not be repaired. For one thing, the problem is very hard to reproduce. It happens only two or three times a month. For another thing, if he went with his guess and replaced the circuit board that he suspected was the culprit, any replacement he might try would come refurbished from Philips, not new, and would be likely to have its own quirks. He didn’t want to see me trade one minor problem for another possibly worse one. He had a point. The problem I’m dealing with is minor: occasionally when I turn on the TV, the display is garbled or blank, but I can fix it by turning the TV off and on once or twice. He said that, if I’m lucky, the problem isn’t a circuit board at all but is due to bad grounding. His parting suggestion was that if I observe the problem again, I should try fiddling with the wires and the connections and rapping on the components in the path between the TV and ground. I can live with having to power-cycle my TV two or three times a month. My main concern is that the problem will worsen somehow, to the point where my ability to enjoy the TV is substantially degraded. Maybe one day I won’t be able to fix the problem by turning the TV off and on. Maybe one day the screen will remain persistently a little garbled. So here is my proposal to you. As long as the problem remains an occasional minor annoyance, I will live with it and leave you guys alone; however, if it should significantly worsen, then even if it is out of warranty you will replace the TV with a new, comparable unit and a new warranty at no cost to me, since the problem has existed since the TV was under warranty and remains unaddressed despite my own best efforts. If this proposal is acceptable to you, I would appreciate a written acknowledgment, however I will also consider a lack of response (within two weeks of your receipt of this letter) to be an acceptance of this proposal. On the other hand, if this proposal is not acceptable to you, I must unhappily resume my efforts to get this problem resolved and insist that you take new steps to remedy it. Two weeks passed and I heard nothing. Another couple of weeks later I got a call from Philips: “Your replacement TV is on its way.” Yesterday it was delivered and installed. Yay! Chalk one up for dogged reasonableness (and for maintaining a detailed chronology of phone calls, repair visits, and so on). The moral of this story is that customer service costs money, and eventually it’ll impact their bottom line less just to give in to your reasonable demands. Or kill you, but for big-screen-TV-peace-of-mind that was a risk I was willing to take. Several weeks ago, I made plans to travel to Pittsburgh with my family on Southwest Airlines. For various reasons we ended up having to cancel that trip. Even though we got Southwest’s lowest, web-only, nonrefundable fares, we were able to bank the entire value of the canceled tickets in a Southwest “Ticketless Travel Funds” account for later use, with no cancellation fee at all. Thanks, Southwest! On Saturday night I went back to Southwest to apply those funds toward a family trip to Seattle that we’re now planning. When I got to the payment step on their website and tried to apply the funds, I got the message that the Ticketless Travel servers were down for routine maintenance and I should try back at such-and-such a time. When I retried, the servers were working — but the airfare had gone up! So I called their customer service number and spoke to a friendly, helpful person who listened to the story, appeared to pull some strings — and was able to get me the lower fare even though it had nominally expired, and was nominally web-only. Thanks, Southwest! Shall I kiss you first? In this age of persistent impotent rage at every aspect of air travel, Southwest stepped up to the customer-service plate big-time. I told them I thought so and promised to give them a shout-out on my blog, so here we are. Thanks, Southwest! My coworker Kerry is a cofounder of The RumbleBox Coalition, a non-profit dedicated to supplying emergency kits to Bay Area residents for surviving the first 72 hours after a major earthquake (or other disaster). “RumbleBoxes” contain first aid supplies, food, water, a hand-cranked flashlight and radio, and more. The coolest part, and the thing that places me in awe of Kerry, is that RumbleBoxes are distributed free of charge to needy families; funding comes from donations and the sale of RumbleBoxes to the not-so-needy. I bought mine yesterday and now instead of fearing the next big earthquake I’m almost looking forward to it! If you’re in a disaster-prone area (e.g., Earth) where there’s a chance you’ll be cut off from infrastructure or emergency services for a while, you should get one too. I finally got my Honda Fit, the Out on a Whim. It wasn’t easy to find one; in the end, I needed the help of Cartelligent, whose superior service I recommend very highly. At the time I engaged them, my Cartelligent agent, the wonderful Leigh Taylor, informed me (credibly) that there were a total of four Honda Fits in the state of California matching my modest criteria (trim level “Sport,” manual transmission). I picked one and they negotiated a price for me, handled most of the paperwork, and transported it to their office in nearby Sausalito, where I took delivery from Leigh a few weeks ago. To top it all off, they found a buyer for the Nimble Imp, my nine-year-old Honda Civic, at about three times the price I expected it to command. The Nimble Imp, a red 1998 Honda Civic DX hatchback, was the first purchase I made with Amazon.com money after they bought the Internet Movie Database. It replaced the Compelling Notion, a red 1994 Saturn SC2, which was my first new car. That came after the Uffish Thought, the gold 1984 Toyota Corolla hatchback in which Alex and I crossed America. Before that was the Fine Young Chap, a blue 1984 Toyota Corolla sedan. It was named for a comment made about me by the father of my friend Drue, and it was totaled in a four-car collision on the Belt Parkway in Brooklyn (about which more in a future blog post). That followed the storied Plate-O-Shrimp, a yellow 1977 VW Rabbit, my first college car, memorialized here. 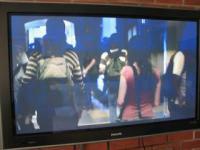 Thinking of upgrading your conventional picture-tube TV to a fancy new flat-panel widescreen? But you’re on a budget and don’t want to go overboard? Confused about what size TV to buy? You’ve come to the right place. The main criterion for choosing a screen size is one that I have not seen described in other TV buying guides: viewing area. The viewing area of a 32″ conventional TV is 492 square inches, whereas the viewing area of a 32″ widescreen TV is a mere 438 square inches! If you’re upgrading from a 32″ conventional TV you’ll want at least a 34″ widescreen to get the same viewing area. Here’s how I arrived at those figures. The advertised size of a TV display is the length of the diagonal. If from the diagonal we can determine the height of the display, h, and the width, w, then the viewing area is h×w. Thanks to Pythagoras we know that h2+w2 = 322. But this isn’t enough information to determine the viewing area: we also need the fact that the aspect ratio of most conventional TV displays is 4:3, which means the width of the display is four-thirds the height. Knowing that the aspect ratio of widescreen displays is 16:9 and using similar arithmetic gives a result of 438 square inches for a 32″ diagonal. In fact, the math shows that for a given diagonal, the viewing area of a 16:9 display will always be about 11% less than the viewing area of a 4:3 display. But wait! It’s not as simple as finding the widescreen TV that has at least the same viewing area as your conventional TV. You should also take into account the kinds of programming you watch. Do you watch a lot of wide-format movies on your 4:3 TV? If so, you’ve certainly noticed the “letterboxing” needed to fit the wide aspect ratio of the film into the narrow one of the display. You’re not using the entire viewing area; some of it is wasted, as much as 32% of it for very wide format formats such as “CinemaScope.” With a 16:9 TV the need for letterboxing wide-format movies is decreased or eliminated. Similarly, if you watch a lot of conventional TV programming (sitcoms, newscasts, etc.) on a widescreen TV, you’ll get “reverse letterboxing,” also called pillar boxing, where the black bars appear not on the top and bottom but on the left and right of the image to make the taller aspect ratio fit into a shorter one. Here again you’re wasting some of your viewing area. So think about the kinds of programming you watch and consult this handy table that shows the true image size (in square inches) for various combinations of TV diagonal size, TV aspect ratio, and programming aspect ratio. 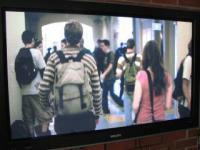 Choose a TV that gives you the best image size you can afford for the types of programming you typically watch. The one I’ve been waiting for! Too excited! Must… maintain… composure… in workplace! I may be a “recovering Star Wars nerd,” but c’mon, man. Cool is cool.